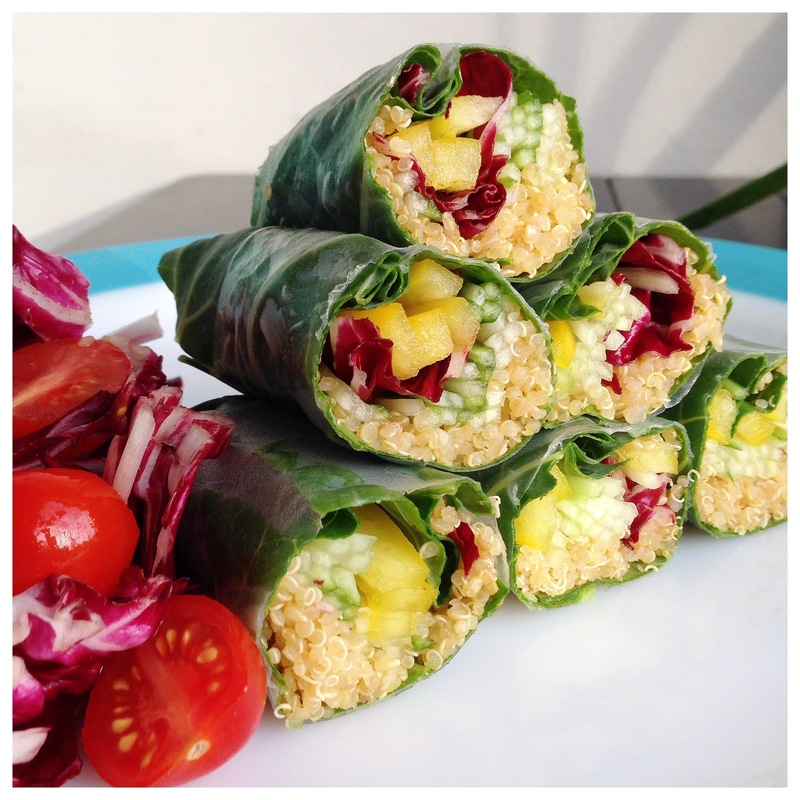 Greens & Quinoa Rolls. | Eat More Plants. I’m not sure why I don’t do this all the time, but it helps my collard green (or any green) rolls stay together SO much better when I wrap them with rice paper on the outside. It creates an extra layer of reinforcement so I can cut them into sushi size pieces and they don’t completely fall apart. Collard greens are my favorite raw green wrap. Just remember to cut the middle rib out of the leaves so it’s easier to roll. The tighter you can roll it, the better they will hold up. I cooked quinoa in veggie stock and rolled it with chopped radicchio, bell peppers and cucumber. Made a quick dipping sauce of brown rice syrup, soy sauce and lime juice. If I’d had a ripe avocado I would have rolled it in there as well…! Ooh this looks like a great lunch idea! Love the idea – I’ve tried using raw organic collards as wraps several times – find them to have a nasty after taste – any suggestions? I am going to try this. I will let you all know how it goes. Very pretty. I want to make these too! These are beautiful! I always love the looks of these and love the taste when I get them elsewhere – but I never make them at home. I must change that immediately!